You know when you sit down to start something at your desk, or you set out for your morning run, or you get ready to walk in to an event, or work, and you say to yourself internally "OKAY"? Like, "okay, let's get started", like "okay, we're gonna do this", or "okay, let's get down to business". That's how I approached June. Maybe that's how I approach every month (day?). I knew June was gonna be a thing. I just didn't know what thing it would be. Turns out, June was great, but hard. June helped me sit down and reassess what my goals are and what the rest of 2018 might look like. 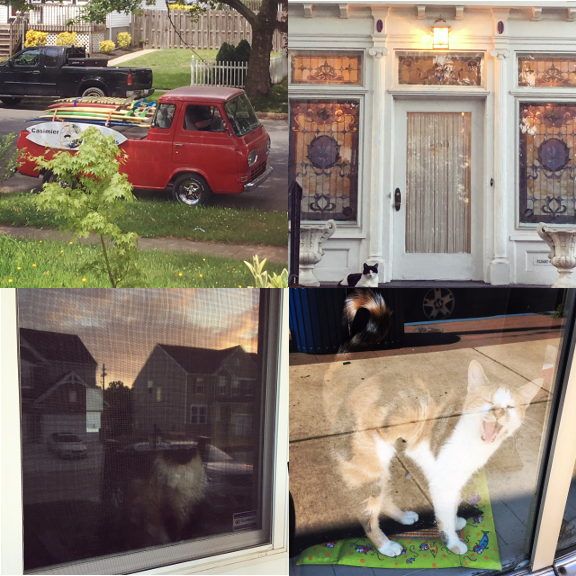 We did a lot of our regular things in June, too! We saw family and friends, watchercats, we saw a lot of bees this month! 1) Bees, 2) Bees, 3) Bees... 4) and a sea princess. The month started out for me in a different state so we did get to travel some in June. 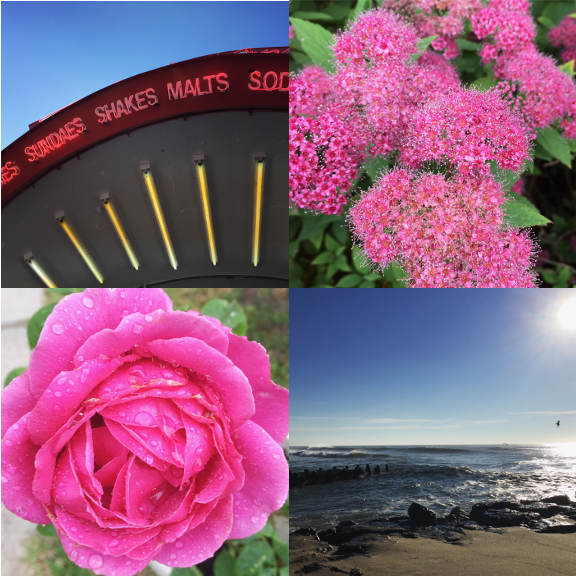 We got to visit beaches, pine barrens, and hang out in our city. 1) The cutest #myfavoritetrucksofasburypark. 2) Funeral home #watchercat. 3) Gazing. 4) and Yawning. Since high season is here, June saw us working a lot! But we made time to tend the garden, have our first (and hopefully last) yard sale, and do household things, although never as much as we would like. 1) All the great signage. 2) Pink in Point Pleasant in NJ. 3) We replanted this rose and it had one big bloom. 4) Weekly challenge #1! June was hard, but I feel it set me up for some great things to come. I have a lot planned for July, so let's get started, okay?